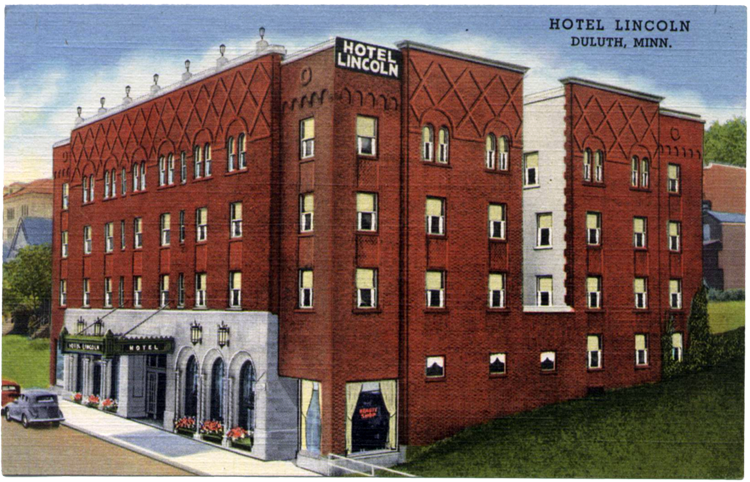 Designed by Harold Starin and A. Reinhold Melander, the Lincoln Hotel was called a “model of elegance” and “the last word in comfort” by the Duluth Herald when it opened in 1926. The hotel was four stories of red brick, with a first-floor Bedford limestone façade and a decorative marquee along Second Street. Patterned brick adorned the building above the fourth floor. Jacobsen Brothers, a contracting outfit, was hired to build the Lincoln. 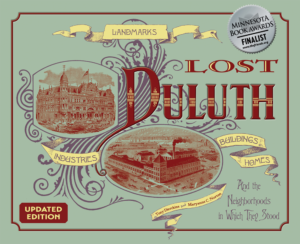 They had become well-respected in the region, building several churches, the McDougal terminal, Hibbing High School, and the Hotel Duluth. M. E. Scott acted as the building’s proprietor (records shows the owners as “Messrs. Nelson and Hafner”) overseeing operation not only of the hotel but of its café and restaurant, which were also open to the general public. Its large lobby was roughly forty foot square and luxuriously appointed, with a separate writing room in the rear and a ladies parlor outfitted with a grand piano. The Lincoln had 105 rooms described as “cheery and sunny”: a center courtyard allowed light into rooms on both sides of the hotel. While not all the guest rooms had bathroom facilities, a number of rooms were set up as suites and contained their own kitchenettes. 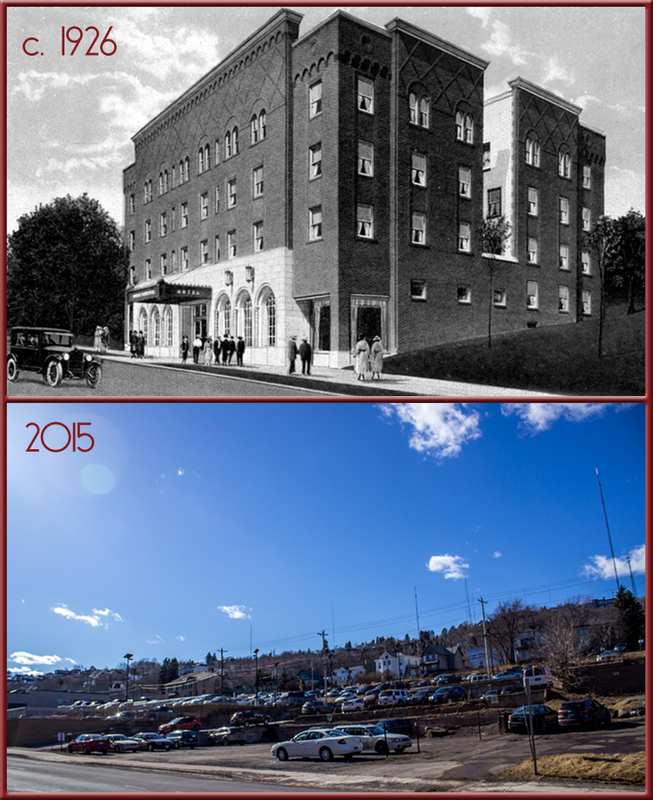 By 1973 the hotel was no longer a popular place for visitors and underwent conversion to low-income housing. In 1981 it became a residence for senior citizens. In 1987, owner Don Henderson couldn’t afford the $75,000 worth of improvements needed to bring the facility up to modern building codes. The Lincoln closed in 1988, displacing fifty-four residents. It stood vacant, deteriorating from neglect, until 2003 when the city purchased the hotel and demolished it to make a parking lot.